At every book stall on the streets of Mumbai there are always the same travel books on sale. The one you see the most here is Shantaram, by Gregory David Roberts. The book is a fictionalised retelling of the authors true-life escape from an Australian prison and flight to India, where he ends up living in a slum in Bombay (as it was known then). After reading this book I was looking for information about the slums of Mumbai, which is where I found a link to Reality Tours; a company that offers tours to the Dharavi slum in Mumbai. Reality tours was set up by an Indian and Englishman. The tour office is in Colaba, just around the corner from Leopold Cafe, which features so prominently in Shantaram. I met the owner Chris Way, from Worcester England, at his office. 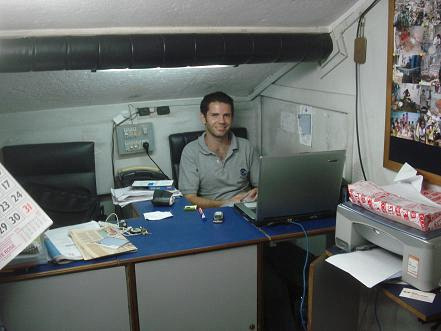 Chris left the everyday life in Worcestershire to live in Mumbai, where he now runs this tour. We started the tour at 1.45, meeting our guide for the day, Krishna, at Churchgate station. From there we got a local train to Mahim train station. The short tour they offer starts at 2.30 and goes until 5pm. I was wondering how we were going to fill in two and a half hours in a slum. It turns out that the time passes quite easily. 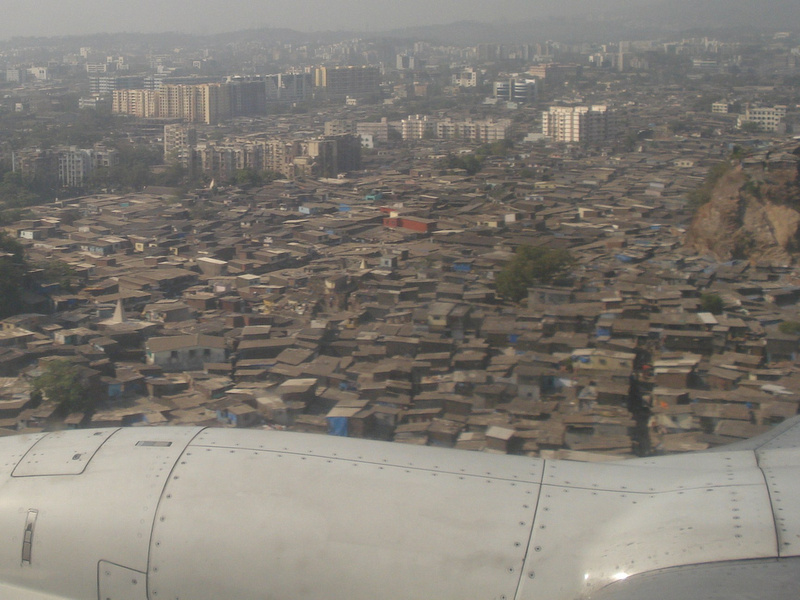 Dharavi is the biggest slum in Asia. It occupies an area of 430 acres and is home to over one million people. The slum is a working city in its own right, with an annual turnover of over US $660 Million Dollars. My concept of a slum was of huts made of plastic sheeting, bamboo and roofing iron with people sitting around begging. Upon arrival at the train station exit we come to a high street of brick and concrete buildings with shops and even an elaborate Hindu temple. From the main street we went down a narrow side street and visited various factories. First up was a plastic recycling plant, where plastic is collected from all over the city, crushed, dyed, then melted into pellets for re-use. Pretty much any thing that can be recycled is recycled here, from paper, fabric, to 44 gallon fuel drums. There are numerous other industries going on as well. Shoes, clothing and suitcase factories, and leather tanneries to name but a few. The guide is a local and he has a good rapport with the people we meet on the way, stopping regularly to chat. I thought I would be hassled the whole time like you are in the rest of the city, but no one in there was begging. You will get kids following you everywhere, saying hi cheerily and asking where you are from, as children do in India. The kids are inquisitive, a few asked for our autograph on their hand, and if you say you are from a Commonwealth nation you may get dragged into a game of cricket. Within Dharavi there are industrial, retail and residential areas. Within the residential areas there are Muslim, Hindu, and a Christian area. In the muslim area we stopped for a drink at one of those shops that sells just about everything. We met three schools teachers covered in head to toe by the veil. My mind imagined three little Mother Theresa-esque looking ladies sent to do good in the slums of Mumbai. We went to the school where they taught and once inside the classroom they unveiled to reveal three beautiful young women who would not be out of place in a Bollywood dance scene. It was a pre-school, and the kids put on a dance show for us. Many of the buildings are permanent structures with running water and plumbing. The lane ways become quite narrow, at many points only a metre wide, with a drain running down the middle. The doorways are usually curtains, and sometimes you see a shop deep within these alleys. I saw a couple of video arcades with classic 1980’s games in here as well. Some people criticise the tour as voyeuristic. The tour though runs at cost and 80% of the proceeds go to a local NGO (charity). Photography is prohibited on the tour. For me tour dispels the assumption that slum dwellers are just sitting around doing nothing, and adds a human face to the statistics that are so easily quoted. 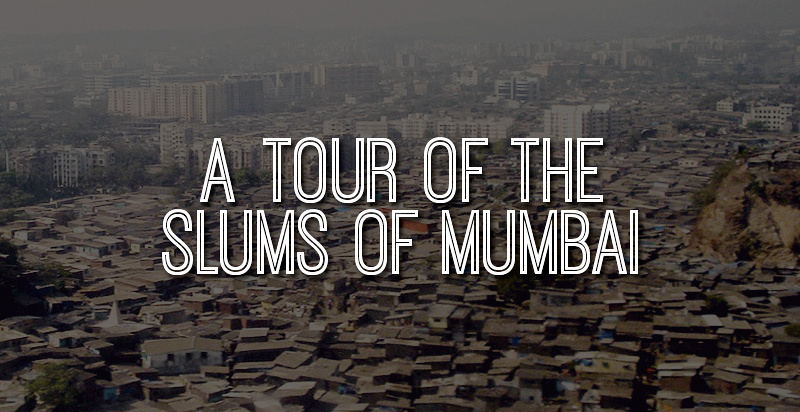 Read more information about the Dharavi tours. Read more about Mumbai in the Mumbai Travel Guide and the rest of my trip to Mumbai. Saved as a favorite, I enjoy your site!